Minimal materials. Maximum transparency. Simple to use. Wilkhahn’s Aline range, designed by Andreas Störiko, sets a standard for multi-purpose rooms and informal communications areas. 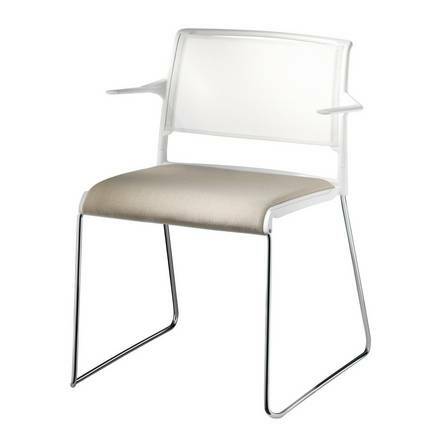 At the heart of Aline lies the multipurpose chair with a design that is both coherent and innovative. 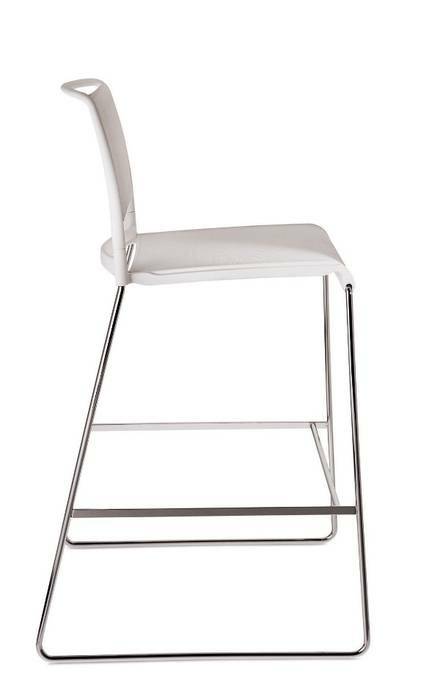 The seat and backrest are made of strong plastic and the chair has a stylish, bright chrome-plated round steel rod skid base. The result is a piece of furniture that is lightweight, stable and with materials reduced to the max. The flexible design and colour-matched high-efficiency fabric covering, combined with the holes to keep your body cool at the back, make sitting on the chair both relaxing and comfortable.